There’s no drab brown in his most recent creation though. 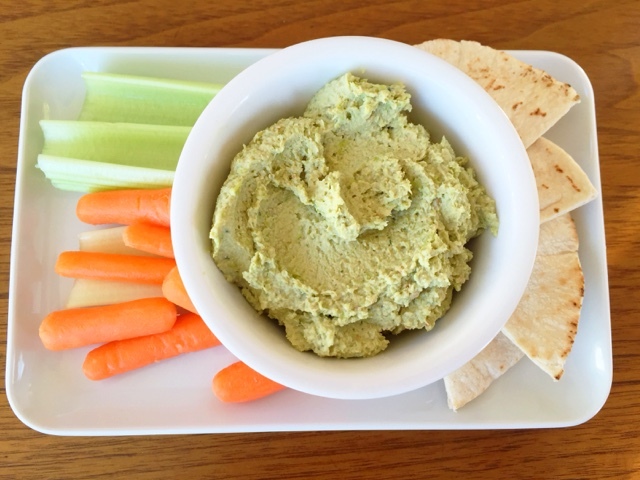 Lately, he’s been making a creamy edamame hummus that has all the umami, but trades the brown for a lovely spring green. It has quickly become a staple in our house. We eat it as a snack like regular hummus, use it as a sandwich spread . . . hell, sometimes I just stand by the fridge and eat it from the container with a spoon. 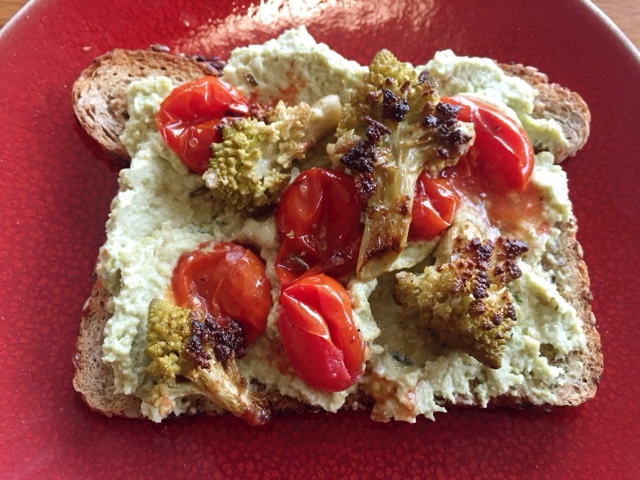 I also love it as the base for breakfast toasts, as in the picture above where I topped it with leftover roasted romanesco and cherry tomatoes. SO GOOD. 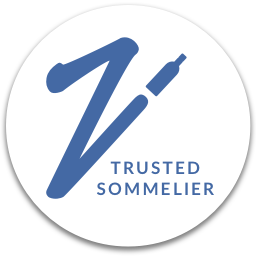 We’ve also been serving it a lot to guests as a dip or as part of a crudité platter. Pretty much everyone who's had it has asked for the recipe, so here it is! The beauty is that it’s really easy. You just throw everything in a food processor or blender and mix away. 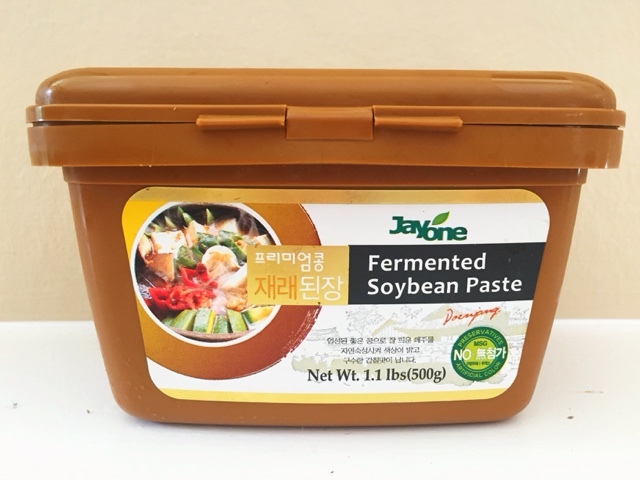 His secret ingredient in this blend is doenjang, Korean soybean paste. 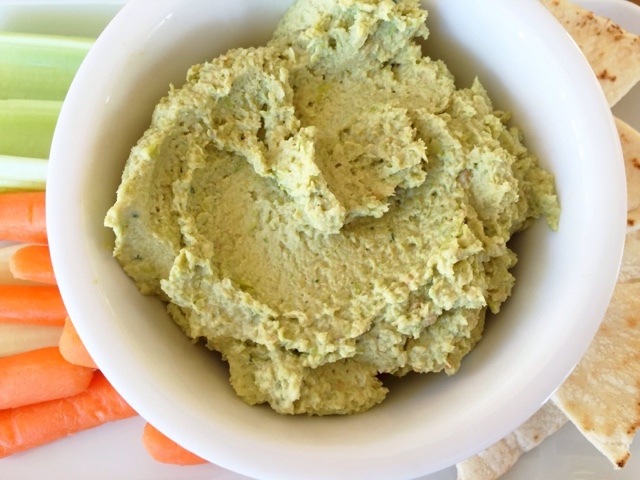 This is a recent discovery for us, but one we’re loving since it packs that umami punch, giving it an edge over most edamame hummus recipes he looked at. It's also serving as a salt substitute, and it doubles down on the soy flavor while adding a nutty element so you don't have to use as much tahini paste (which has more fat). 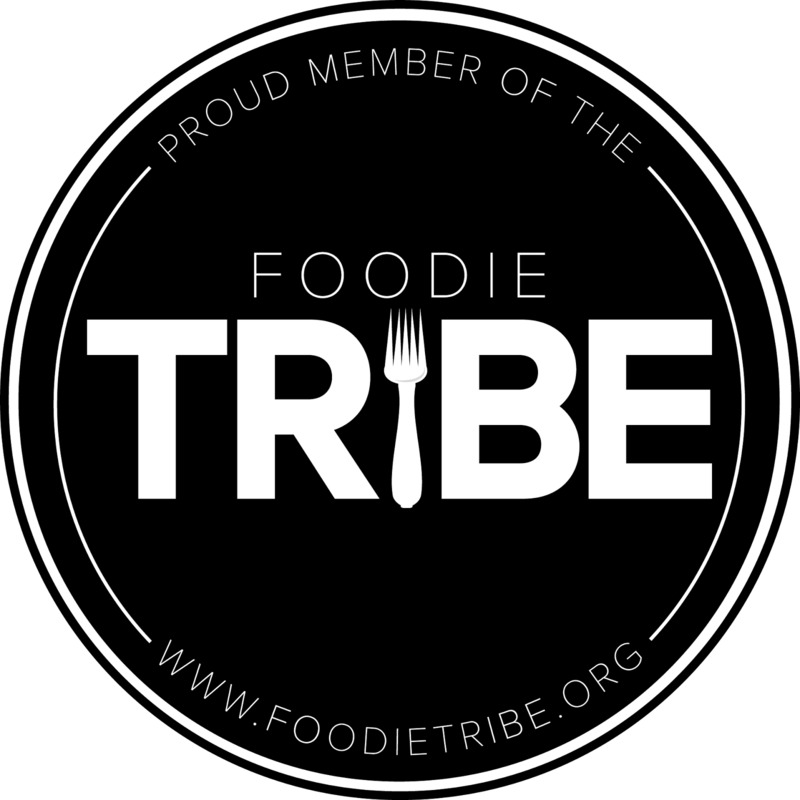 Check the Asian food aisle, or if can't if you can’t find it locally, it's definitely available online (here is a link to one on Amazon). You can also substitute soy sauce to taste, if you prefer. This recipe makes a pretty generous amount. We usually split it into 2 containers and put one in the freezer. It thaws perfectly. Now that I’ve gotten him to note this recipe down, I’m hoping that I can get to share his pulled pork recipe next. 1. Thaw edamame. You can use the microwave to thaw by putting the edamame in for about 3 minutes, stirring every minute. 2. Blend all ingredients in a blender or food processor until smooth. Taste and adjust seasoning as needed. Note: We’re finding that because of the thick consistency of this hummus, the food processor might be more efficient for this recipe in most cases. If you're using the blender and it's having trouble mixing the entire batch evenly, try occasionally turning off the machine and give it a stir from the top to help keep things moving.